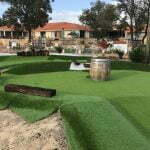 Turf Green Design, Construct and Install Mini Golf Courses in Australia and internationally. Although we have not created all the courses on this list we want to provide useful information for anyone looking to play Mini Golf. We hope you have a great golfing day. More Mini Golf Courses to come for these states. This page is a work in progress and continues to be updated. 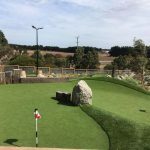 If you want to own a mini golf course business or enhance your current business by installing your own mini Golf Course, Contact us today. Are Miniature Golf Courses Profitable?